The qualification, the main tournament and will be on the ground of the SWK Verkehrs AG! 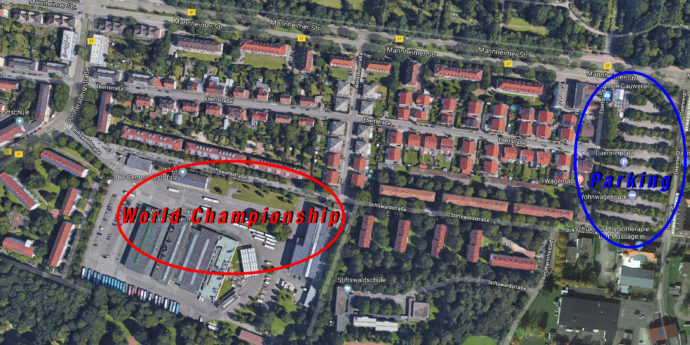 From friday to saturday and from saturday to sunday you can easily stay at the Unisport Kaiserslautern. The Midnight Qualification (starting at 10 pm, ending at midnight) will be here as well. The sleeping location opens @9pm on friday. Unfortunately we have to pack all our stuff and leave the hall on Saturday because of an ongoing event. On saturday evening we can be there again without any problems. 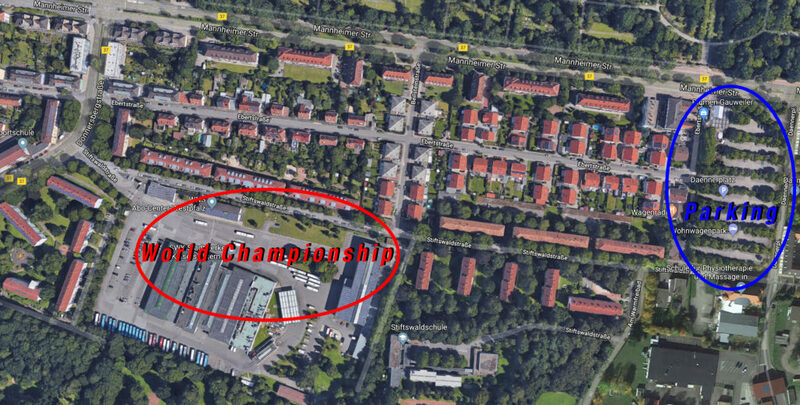 There’s a parking lot nearby the tournament location called Daennerplatz. On saturday you can also park at the university (Adress: Paul-Ehrlich-Straße 28, 67663 Kaiserslautern) and use our Shuttlebus-service. There will be one bus leaving university @9:30am and one leaving the SWK ground @9:00pm. But there will only be 50 seats available so make sure to be there early! 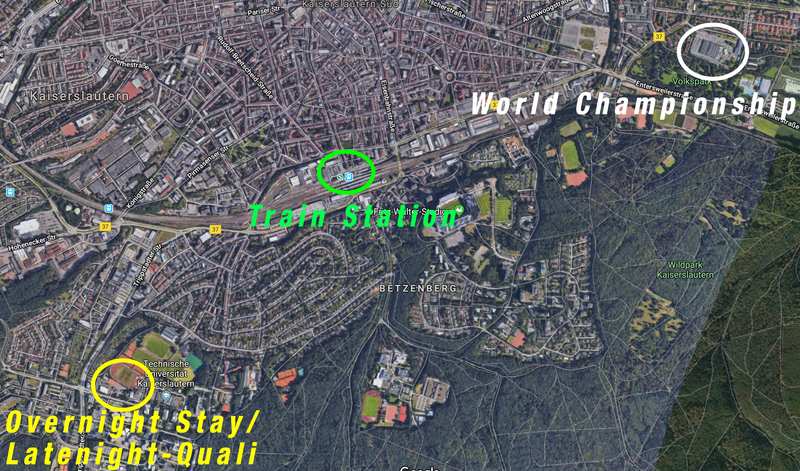 You can also get to Kaiserslautern by train. The train station is less than 1,5 miles away!